Anorexia nervosa is an eating disorder is which a person severely restricts foods as a means to lose weight or avoid gaining weight. This condition affects the way a person sees their body and can lead to life-threatening complications associated with malnutrition. Anorexia nervosa is a serious condition that requires treatment to help the person overcome the condition, accept their body, and consume the nutrients they need. According to the American Academy of Family Physicians, anorexia nervosa affects an estimated one out of 200 females in the United States1. The condition is rarer than bulimia, which is a different eating disorder wherein a person goes through cycles of binging and purging. An estimated 95 percent of people with eating disorders are ages 12 to 25 with a vast majority being female. While a person can develop an eating disorder at any age, they are much more common in younger populations. This could be due to peer pressure as well as changes a person experiences in their body at a young age. Young people are also at risk for stressful transitions, such as going to a new school, the end of a relationship, moving, or the death of a loved one. Transitions in life are known to trigger anorexia behaviors2. If a person has a family history of an eating disorder, it’s possible they are at a higher risk for developing the disorder. Anorexia is specifically a disorder of control. Those affected typically try to gain control over their body by restricting food. As a result, people with character traits like sensitivity, perfectionism, and perseverance are more highly associated with having an eating disorder. Societal standards and fame culture can affect people’s perceptions of a normal, healthy body. Unfortunately, some people associate success and self-worth with appearance, especially being thin. This can lead to a shift in values that causes a person to try to overly control their diet. Sometimes, a person may feel extreme peer pressure to be thin, and choose unhealthy practices such as restricting food to do so. Sometimes, a person with anorexia may experience mental health disorders. An example of this includes obsessive-compulsive disorder, where a person is obsessed with controlling their diet. Another condition that commonly affects those with anorexia nervosa is anxiety. Restricting eating may give a person with anxiety perceived control over their life. Anorexia is a serious medical condition that can be potentially fatal. A person needs calories for energy in order to survive. When they do not eat enough, their body will try to compensate. But without enough food, the organs and body will shut down. The severe malnourishment that occurs with anorexia symptoms can lead to kidney failure, heart disorders, and complications in the brain. Anorexia also takes a mental toll on a person. They may be more likely to abuse drugs and alcohol. They can also experience depression, anxiety and additional mood-related disorders. Sometimes, a person with anorexia may even have thoughts of self-injury or suicide. They may even attempt suicide. The serious potential complications to physical and mental health make it important to seek treatment when anorexia is present. A common misconception about those who suffer from anorexia nervosa is that they all appear severely underweight or muscle wasted. While being severely thin may be an endpoint of anorexia, a person can have anorexia for many years before this occurs. Also, it’s common for someone suffering from anorexia to conceal their symptoms and thinness. Body weight of less than 85 percent than is normal for that individuals’ height or age. Significant fear of gaining weight or being “fat,” even though the person is underweight. Displaying misconceptions about their body or being very preoccupied with weight. Absence of at least three consecutive periods in women. Some people may not recognize these symptoms in themselves. They may perceive their behavior as normal or necessary. As a result, it can be very difficult for a person with anorexia nervosa to seek treatment on their own. Although anorexia may have some societal influence factors, the concept of eating disorders is far from new. According to “Psychology Today,” descriptions of anorexia nervosa date back as early as the 12th and 13th centuries. Medical texts from the 1600s to 1800s described anorexia as a wasting disease3. Some doctors even believed that anorexia was a disorder caused by problems in the endocrine glands, and even prescribed hormones like pituitary hormones to treat anorexia. Knowledge about anorexia and treatments did not become more widespread until the 1970s. At this time, an author named Hilde Bruch published a book that described case studies about people with eating disorders and obesity. As time has passed and more is understood about anorexia and the mental health conditions that may complicate it, the focus has shifted to holistic treatment. This means that medical professionals treat not only the condition, such as anorexia, they also treat underlying mental health disorders, such as anxiety or obsessive-compulsive disorder. Treating the whole person can ideally help to boost a person’s overall health. Current approaches to anorexia treatment include a multi-specialist approach. Often, a primary care physician will direct treatments. Additional doctors, such as a psychotherapist or psychiatrist will also help to counsel a person with anorexia nervosa. The type of specialist may depend upon the age of the individual suffering from anorexia nervosa. For example, some people may benefit from seeing an adolescent medicine specialist who is trained in treating young people and understand their health. There is frequently additional consideration for adolescent medicine specialists and parents to collaborate with the child’s school. For example, most states require schools to help develop a 504 plan. This plan type will allow a person to create special accommodations for those with anorexia to help them in their treatment. Examples may include taking a snack break during class or allowing a student to miss a class for counseling or other medical needs related to their anorexia. Sometimes, if the anorexia has been long-lasting, the individual is experiencing severe health effects or if they want more intensive help and therapy, inpatient treatment is an option. This may include hospitalization or going to a special facility that focuses on treating those with eating disorders. When is Inpatient Therapy a Good Option? If these symptoms are present, treatment is needed in order to stabilize health. In severe instances, a person with anorexia nervosa may need a feeding tube. This is a special tube that is either placed in the stomach or down the nose where nutritional fluids can be administered. However, this is considered a life-saving measure for those with severe anorexia who refuse to eat. It’s important to note that a person suffering with anorexia can’t just suddenly start eating, even by force, and be healthy when the disease is severe. This is because those suffering from anorexia is typically so malnourished that their body has tried to compensate for the lost calories. Therefore, a doctor and nutritionist must make recommendations regarding how to help slowly re-incorporate nutrition into the person’s life. Ideally, a person with anorexia will gain an average of two to three pounds per week while they are in inpatient therapy4. At times, an outpatient program may be the most suitable option for treatment. For others, once inpatient treatment has been completed, therapy may continue with an outpatient treatment program. Outpatient therapies typically focus on nutrition guidance and enhancing energy. A dietitian may recommend daily meals and snacks as well as supplements to help enhance health. Some recommendations include vitamin D and calcium. Phase 1: Doctors and other medical specialists meet with a person’s family to discuss strategies that can help a person increase their daily food intake. Phase 2: As a person with anorexia starts to increase their daily food intake, therapists then focus on the family behaviors that could potentially contribute to a relapse. Phase 3: Phase 3 recovery involves helping a young person with anorexia become more independent with their recovery. Group therapies, equine therapy, and mindfulness therapies, such as yoga and meditation, may also help. While there are not medications specifically approved to treat anorexia, there are medicines that help treat the underlying medical conditions that may affect a person suffering from anorexia nervosa. Examples include antidepressants as well as selective serotonin reuptake inhibitors (SSRIs). These medications may help to reduce the incidence of suicidal thinking in those with anorexia. What Are the Therapeutic Approaches to Psychotherapy? This approach involves a person focusing on changing their behaviors, but not necessarily their thoughts and feelings. This can be beneficial for a person suffering from anorexia nervosa as they may not view their thinking as wrong or incorrect. Instead, this therapy asks the person to detach themselves from their emotions and feelings about food and their body and to accept that most people must eat sufficient calories in order to live a healthy life. Cognitive-behavioral therapy or CBT is a therapeutic approach that involves focusing on the beliefs that a person can effect change in their behavior. This approach is a near-inverse of acceptance and commitment therapy as it does require a person to change their behavior as a means to change the symptoms associated with their eating disorder. By changing the way a person views their behaviors, the therapist is ideally more likely to motivate the person to make positive changes in their behaviors and actions. This treatment focuses on building mindfulness skills to help change behavior. For example, when a person starts to obsess over each bite of food they eat or their physical appearance, they may stop and recognize the thinking as harmful to their health. As a result, they may be more likely to change their behavior. Other key components of dialectical behavior therapy include emotion regulation, distress tolerance, and ways to build healthier relationships with others. This approach involves working with a psychotherapist as a means to identify the root causes of behaviors. The individual is asked to identify the conflicts in their lives that may be causing them to control their eating excessively. The therapist practicing this therapy type will help identify a patient’s underlying needs and concerns that must be resolved to treat the condition. Where Can I Find Anorexia Treatment? If a person is uncertain as to where to begin in their anorexia treatment, they can call the National Eating Disorders Association Helpline at 1-800-931-2237. This helpline can provide support not only in times of crisis, but also if a person is uncertain of where to turn to for treatments. General practitioners or therapists can also refer a person to a center which specializes in eating disorder treatments. According to the American Academy of Family Physicians, an estimated 50 percent of patients with anorexia nervosa achieve fully recovery. However, an estimated 30 percent achieve partial recovery while 20 percent are reportedly chronically ill. Anorexia is a dangerous disease that has the highest mortality rate of all mental health disorders, with an estimated mortality ratio of 1.7 to 5.9. 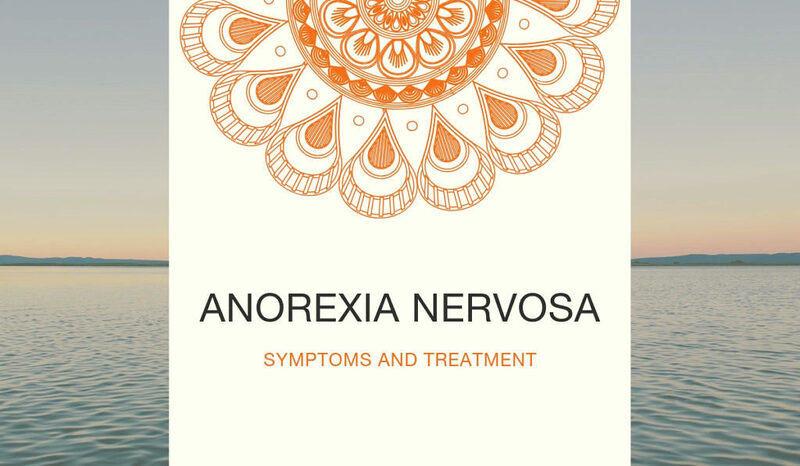 Anorexia nervosa is a serious and potentially life-threatening disorder. By seeking medical treatment, a person suffering from anorexia nervosa can help to avoid its most serious effects, including long-term heart and brain damage. A variety of therapeutic approaches are available. This is beneficial in helping a person receive personalized care for their symptoms. With treatment, an estimated one-half of those with anorexia can experience a full recovery.